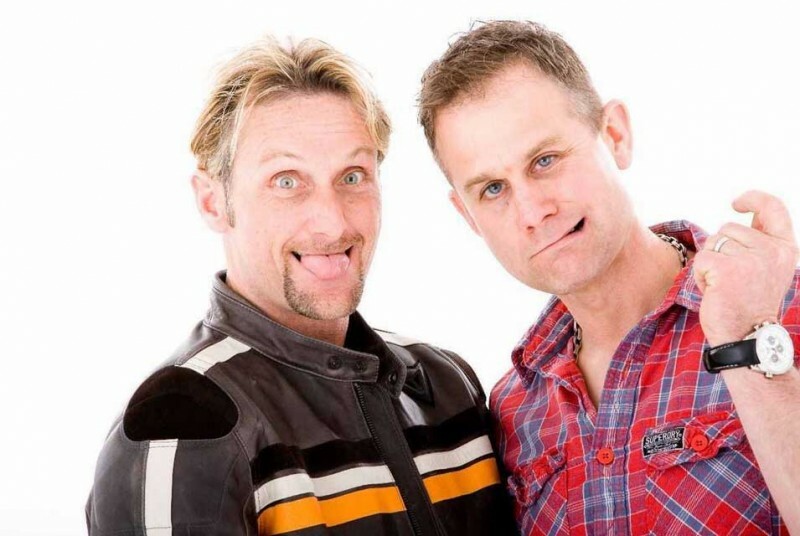 Former World Superbike stars Carl Fogarty and James Whitham have announced the charities to be supported at extra May dates for their sell-out 2014 chat show tour ‘Foggy and Whit: Givin’ It Gas’. Four-times World Superbike Champion Foggy and ex-British Champion turned top TV-pundit Whit are back on the road due to popular demand and will be making additional pit stops in Hastings, Paignton and The National Motorcycle Museum in May. The tour features two of British motorcycling’s best loved characters, who take a fun-fuelled trip down memory lane, as well as discussing today’s burning issues on and off the track. And each night will feature a charity auction, which has raised around £10,000 for local causes in each of the last tours. Foggy said: “We did six nights in January, which went down a storm, so much so that we got asked to put on three extra dates! There’s new ground to be covered on the tour too. “We’ve never been to the National Motorcycle Museum before. I can imagine they’re pretty chuffed to get a couple of old relics like us!” quips Whit. The show, featuring on-stage chat and questions from the audience, lasts around two hours before the chance for autographs from Carl and James.